Evergreen with short creeping rhizomes. 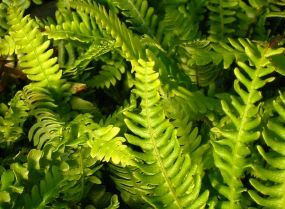 Dark green, lance-shaped, pinnate, sterile fronds spread horizontally to form a rosette surrounding the taller fertile fronds. Height and spread 20ins x 24ins (50cm x 60cm) or more.